The Regional Planning Commission consists of members who are appointed by the County Board for a four year term. 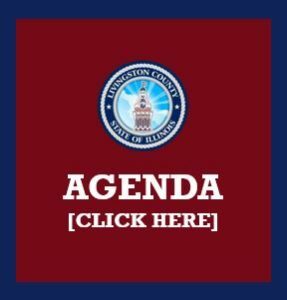 Meetings of the Commission are open to the public and are held in the evening on the first Monday of each month, at the Livingston County Historic Courthouse. Members: Mike Haberkorn (Chair), Keith Bahler, Luke Bartlett, Scott Cranford, Jerry Gaspardo, Eddie Hoerner, Shane Long, Rudy Piskule, Scott Sand, John Slagel, Verne Taylor, Dean Wahls, and Dee Woodburn. The meeting dates listed are the regularly scheduled meeting dates. If there is no business to take place at any of these meetings, those meetings may be cancelled. You are welcome to contact the Office of Zoning & Planning at 815-844-7741 to confirm meeting information for any meeting of which you may have an interest.